I can’t wait for you guys to see this! It’s super scary and tons of fun. We had the best time making this and I think you can tell when you watch it. 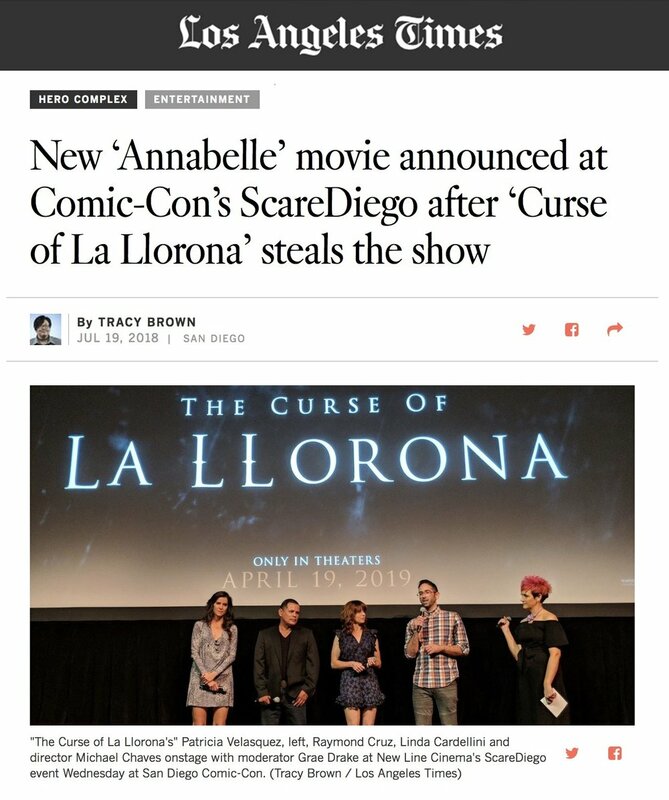 PRODUCED BY: James Wan, Emile Gladstone, and Gary Dauberman. STARRING: Linda Cardellini, Raymond Cruz, Patricia Velasquez, Jaynee-Lynne Kitchen, and Roman Christou.